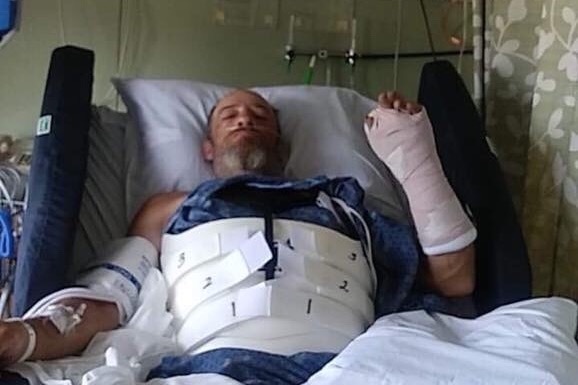 On July 16th 2018 John was involved in a bad accident he fell off a 11ft ladder, this accident caused John to shatter his L1disk in his back, break his wrist and he received five staples in his head. John has needed physical therapy to walk again and has had surgery to repair his back. The medical bills keep piling up and John is unable to work to provide for his family.